A very quick post to say that we tried out Nigella Lawson’s recipe for Lamb Cutlets with Chilli & Black Olives last night. Served with new potatoes and a green and tomato salad dressed with an olive oil, lemon juice and fresh herb (from the balcony) dressing – it was a perfect summer meal. Their can be few simpler pleasures than nibbling the remaining pieces of lamb from the bones of a lamb chop or cutlet and licking your fingers afterwards. Lamb is one of my favourite summer meats, ideally cooked on a barbecue so it’s slightly charred on the outside, but retains its pink and juicy interior. Unfortunately most of the lamb on sale in Berlin seems to be from New Zealand , and I try my best to avoid huge food miles. Last week I found some bio (organic) lamb on the Türkenmarkt – at €18/kilo it was pricey, but we eat so little meat that I don’t begrudge spending a little more now and then. If you know of anywhere else (particularly in the Kreuzberg area), that sells German – or at least European – lamb, please do let me know. 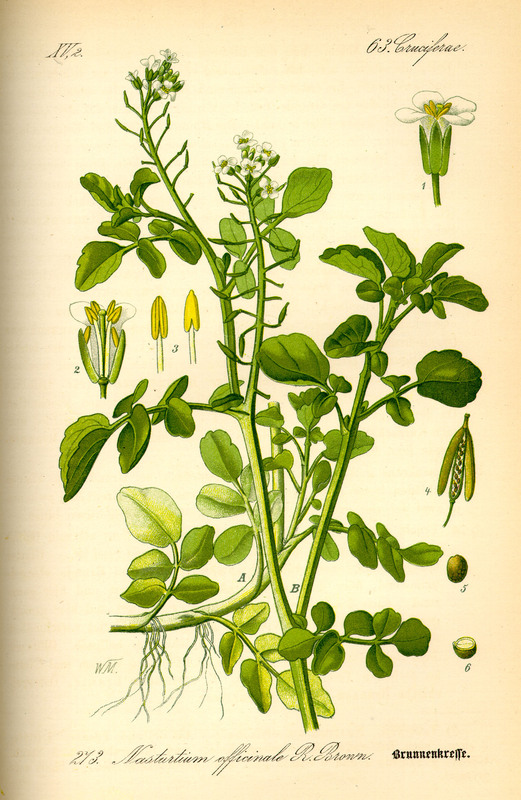 I love watercress. In the UK you can buy it in every supermarket and at most markets. It makes a peppery addition to a salad (that rucola/rocket just can’t replace) and a wonderful soup. For those of you looking for it elsewhere, it’s called Brunnenkresse (or Wasserkresse, although I’ve looked for this and not found it). It’s rare here because it neds to be grown in fairly fast running water, Berlin has a lot of water, but not much of it moves very quickly.